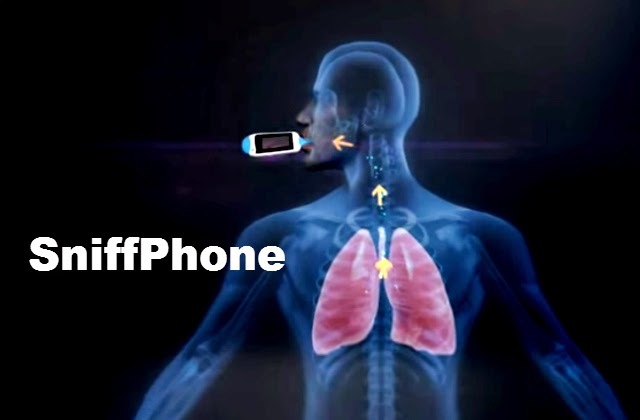 A Smart Phone To Identify Disease (SniffPhone).. It is very interesting to hear that there is a Smart Phone to identify the diseases. SniffPhone is the smartphone which is used to detect the diseases. This is very smart way to identify the disease. It was invented by Hossam Haick, Israel Institute of Technology scientist. This is very easy and friendly method to identify the disease by which you are suffering from. There is a hollow tube at one end and screen to display on the top of the device. There is an application inside the device which identifies the diseases. That application consists of micro, nano sensors. It also shows whether that person is in serious state or intial state. Hossam Haick tells that SniffPhone for sure can identify the disease correctly by comparing with other daignosis methods. The think which we need to do is just blow hardly through the hollow part by keeping in into our mouth. Then the air will pass through the nano and micro sensors which are inside the device and displays on the screen of Sniff Phone with the help of application in it. This phone is very much usefull us to identify the disease as early as possible. This was not into the market yet. 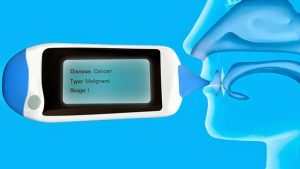 SniffPhone is under work lets hope it comes to the market as soon as possible and save many lifes.